When we think about play we do not all picture the same things, our concept of play is shaped by our exposure in childhood, the communities we grew up in and the experiences we were afforded. As educators we see play, in its many forms, as being central to learning and essential for the development of many skills and attitudes. As a family before you read on why not brainstorm together what you think is play? Tuesday 12th was Global Play Day an event that encourages us all to play for a whole day. MBIS primary section were part of the 535,690 worldwide participants. This is the figure on the official website but it is estimated more took part but just did not register. Play is a critical part of children lives and helps them develop a wide range of skills, explore new concepts and increase both their physical and mental fitness. A programme that states it is focused on the “holistic development of students” must then allow for play, not just once a year but each day. 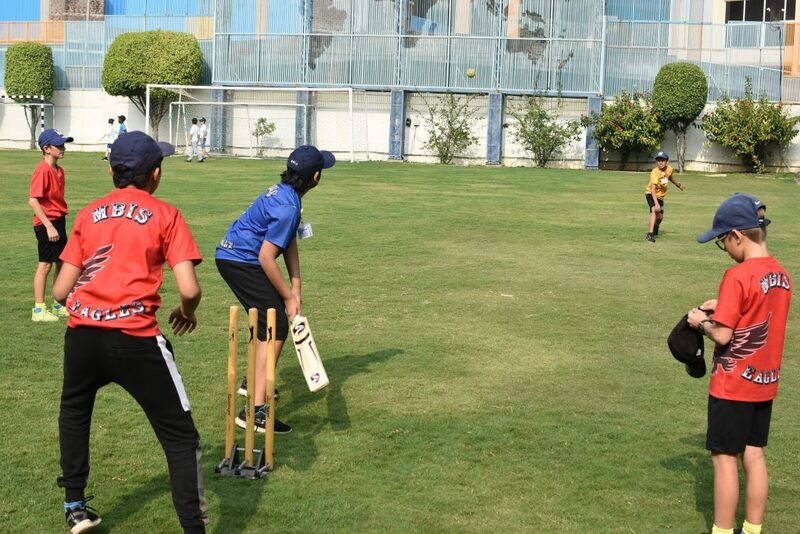 Physical Play: There was cricket, basketball and football taking place throughout the day, arranged by the students and with players across many grade levels. These activities helped our students work as communicators, develop their organisational skills, solve conflicts and increase their physical fitness. The introduction of more tires, logs, wooden slabs and thick rope lead to the creation of a range of student designed obstacle courses. The students explored the new natural materials that had been added to their environment and began to experiment on how they could be used. This allowed them to develop a better understanding of materials and their properties, think creatively as to how to use the items and then work together to create new games and challenges. There was a lot of cooperation and collaboration needed to build the obstacle courses, try it out, refine it and at times step up the challenge for our friends and ourselves. The jungle gym also saw a lot of action on this day too. Of course, there were general running games to be observed, with various student constructed rules and aims. The Early Years too had the “loose parts” (tires and logs) in their garden area and along with climbing the tree had a wonderful time being very active. Makerspace: We created an area outside the library and simply put out recycled materials. The students found this area enticing and all day long students from PYP 1 to PYP 5 could be found creating! There was a need to share the scissors, tape etc. and our students handled all this themselves without any assistance from teachers. They selected and shared the boxes, tubs, paper, pots etc. that were on hand to allow all those who wished to make some marvelous creations. These activities help with problem solving and developing an understanding of the properties of materials. Board Games: Some students brought in games from home and we had games in school too. It was interesting to see students teaching each other how games are played, the rules and the aim! 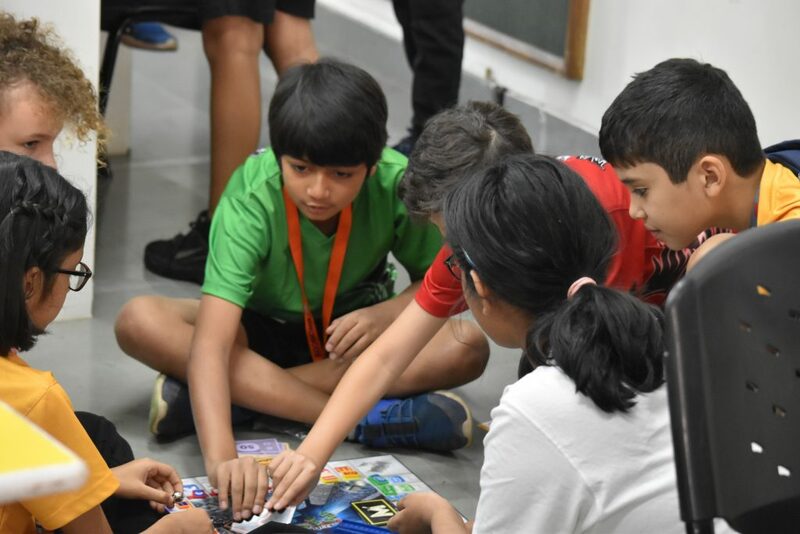 Many of the games were not in English but this did not deter the students, they played happily with games in languages they did not know, led by a student “expert” who was a native speaker. Many learnt new vocabulary and developed their strategic thinking. Art: Many of the students engaged in extended self-created and self-directed art activities. They showed great patience and commitment to their projects, learning new skills from other students and being very creative. We also had a number of pavement artists who took the opportunity to brighten up the courtyard with their chalk pictures. Creating your own cheerleading routines – One group of PYP 3 students were observed making their own cheers for the class ! Singing and dancing, creating, and showing a sense of community. Time to chill – There was also provision for the students to simply sit around and talk or read, in-class or in the tents dotted around the courtyard. Why do we encourage play as a way of learning? 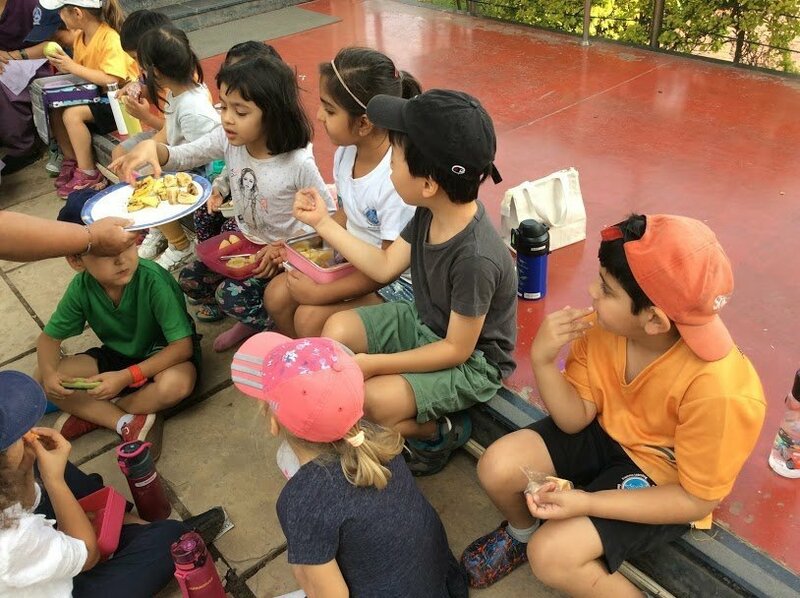 While we all, no doubt, are well aware that the rapid rise childhood obesity is linked to the less physical play at home and at school, we also need to consider what other aspects of our lives are impacted by play. Play is an essential element for our mental health. There is a lot of research that links the decrease in play to the increase in childhood depression and anxiety. Here is one article you may wish to read to explore this further. There is also a strong research to show the role of play being essential for healthy brain development. To summarise we can see that play is critical for a truly holistic approach to childhood development and learning. 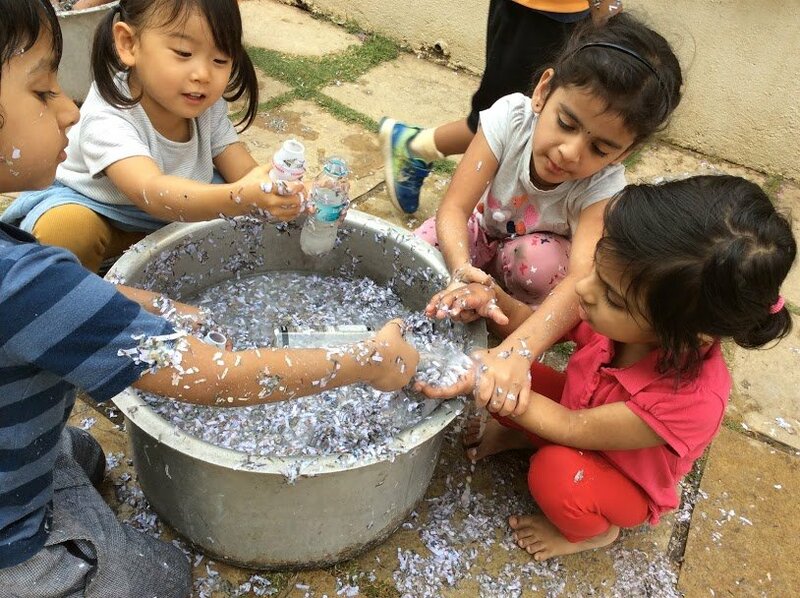 Our Early Years programme has inquiry through play as it main pedagogical approach. Play throughout the primary gives students the opportunity to be agentic learners. 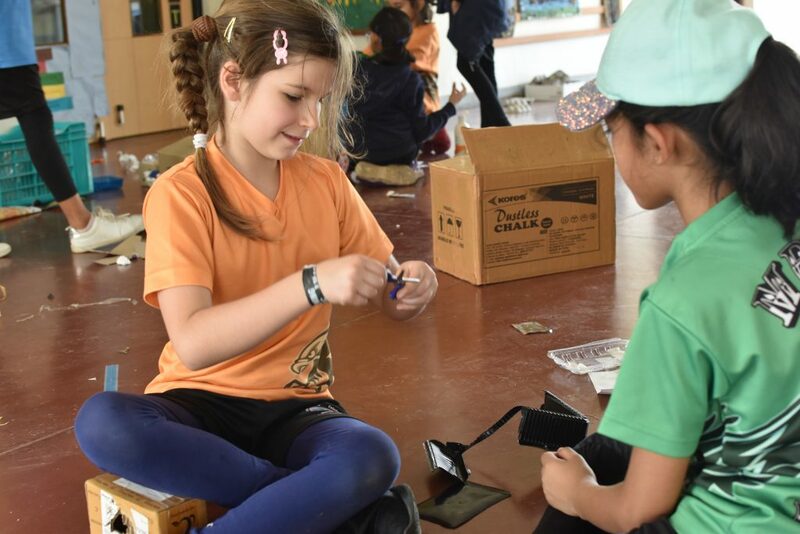 We have, over the past year, increased the formally allocated play time for all our learners and there is an understanding that teachers can choose to give additional playtime as they see the need arise in the learners. This article highlights the importance of a wide range of play experiences and how they impact learning. We are already looking forward to February 5th 2020 and the next Global Play Day! So, this weekend go out and play with your children, think of ways to include play in your daily or weekly family routines and enjoy yourselves! Photos – Jeff Underhill – PYP Teacher and Cynthia Vase – Early Years Teaching Assistant. Special guests for special festivals. The End of Year Show is here again!! !